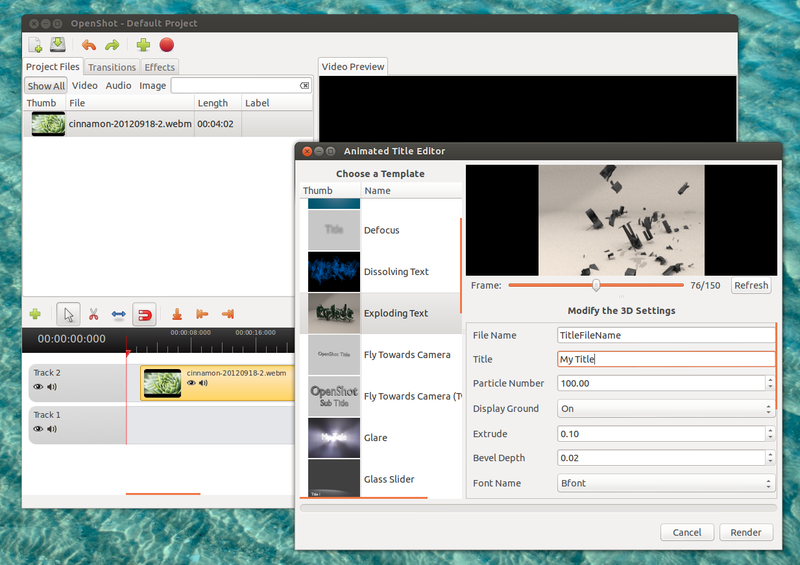 With OpenShot 1.4.3, you'll also need Blender 2.6.2 (or newer) for getting the animated 3D titles to work. In Ubuntu versions older than 12.04, you can use THIS PPA, or follow the instructions available HERE. For other Linux distributions, see the OpenShot downloads page.